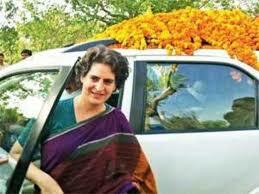 Priyanka Gandhi has already done publicity in Bijnor and Saharanpur, where first phase of elections took place. These regions are under the charge of Jyotiraditya Scindia. However, instead of him, Ms. Gandhi did the road shows. Though her road shows were successful; however, it is not clear until now whether this will help her convert this success into road shows.